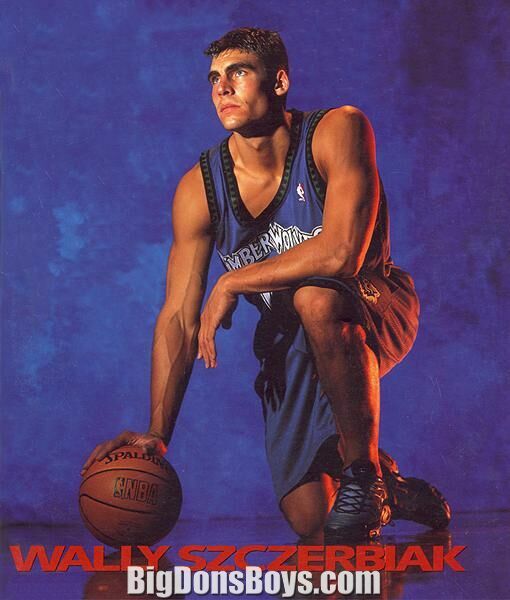 "Wally" Szczerbiak ( born 1977) is a former American professional basketball player in the NBA. 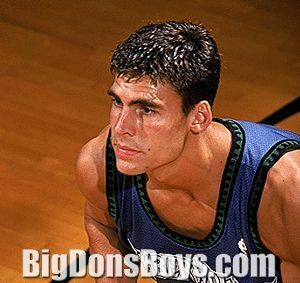 Szczerbiak was born in Madrid, Spain, to Marilyn and Walt Szczerbiak, a former ABA player who was helping lead Real Madrid to three European League championships. While there he set a Spanish League single-game scoring record with 65 points. Wally spent much of his childhood in Europe during his father's playing career. When Walt retired, he moved his family back to his native Long Island, New York. Wally played basketball at Cold Spring Harbor High School in Cold Spring Harbor, New York. As a senior in the 1994-95 season he averaged 36.6 points per game and 15.9 rebounds. He was named the winner of the Richard Sangler Award as Nassau County's outstanding boys' basketball player. 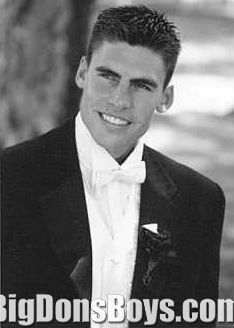 Szczerbiak competed for the Long Island team in the 1994 Empire State Games. Despite Szczerbiak's outstanding high school statistics, his small school background failed to impress East Coast college coaches and he went unrecruited. 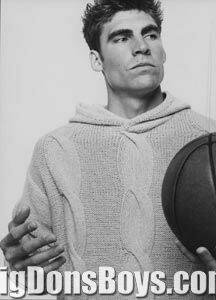 During the fall of his senior year in high school Szczerbiak and his parents made a visit to the campus of Miami University in Oxford, Ohio. The following Monday, despite Walt's wishes for Wally to wait on making a decision, Szczerbiak called coach Herb Sendek and committed to play college basketball for the RedHawks. In his first two seasons there he averaged 8.0 and 12.8 points. As a junior in 1997-98 he burst onto the scene as one of college basketball's leading scorers, averaging 24.4 points per game and earning first-team All-MAC honors despite missing several games with a broken right wrist. In his senior season he averaged 24.2 points per game and led the RedHawks to the Sweet 16 in the 1999 NCAA Tournament as a #10 seed. 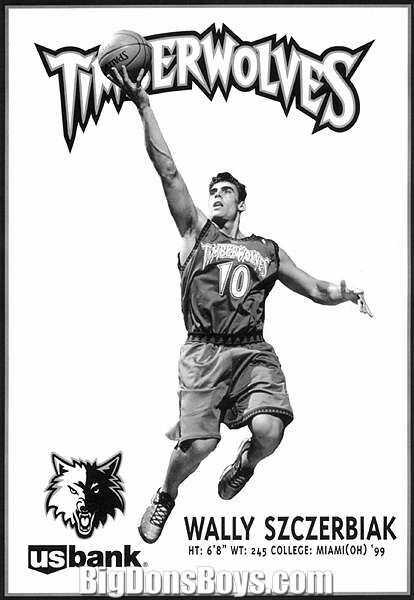 Szczerbiak scored a career-high 43 points in a first-round win over #7 seed University of Washington. He followed that with 24 points in a second round toppling of #2 seed Utah, leading the Redhawks to the Sweet 16. Despite Szczerbiak's 23-point performance they would eventually lose to Kentucky 58-43. Miami finished the season 24-8. Szczerbiak was named MAC Player of the Year, and first-team All-American by Basketball News and Sports Illustrated and second-team All-American by the Associated Press (AP). He finished his college career as Miami University's second all-time leading scorer, with 1,847 points. A marketing major, he graduated from the university's Richard T. Farmer School of Business. In 2001, Szczerbiak became the fifth Miami player to have his jersey retired (#32). In 2009, he was inducted into the Miami University Athletic Hall of Fame. 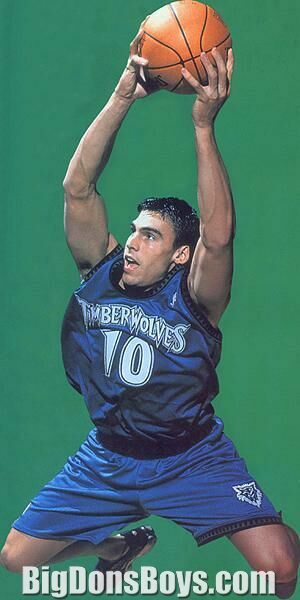 In the 1999 NBA draft Wally was selected sixth and played for the Minnesota Timberwolves until 2006. He played with the Boston Celtics in 2006-2007, the Seattle Supersonics in 2007-2008 and the Cleveland Cavaliers from 2008-2009. On November 5. 2009, Szczerbiak revealed he'd had a career-ending third surgery performed on his left knee three weeks earlier. A week later he reportedly rejected a league veteran's minimum contract offer from the Denver Nuggets, opting instead to continue to rehabilitate his knee and possibly test the free agent market later. Another contemporary report had him mulling a broadcasting career after a tryout with the New York Knicks reportedly fell through. 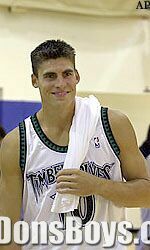 Szczerbiak succeeded in making the transition to sports broadcasting, becoming a basketball analyst for CBS College Sports. Currently, he is an analyst at MSG Network covering the New York Knicks and contributor to the teams' post-game broadcasts. He earned about $74 million dollars in his basketball career. 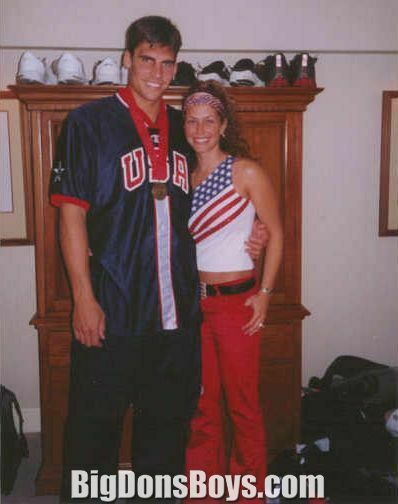 Szczerbiak met his wife, Shannon (Ward), when they were both in the same Class of 1999 freshman orientation group at Miami University.] They have three children, daughters Annabella and Amberley and son Maximus Jack, born on March 1, 2008. Szczerbiak has a brother, Will, nine years his junior, and a sister, Wendy, thirteen years younger. Wendy played college basketball for Lehigh University. In 2013, Szczerbiak was inducted into the Ohio Basketball Hall of Fame.